Put on a pot of camp coffee and break off a piece of bannock.. we're launching a new weekly Sunday segment to cover some of the news that we didn't blog about during the past week. 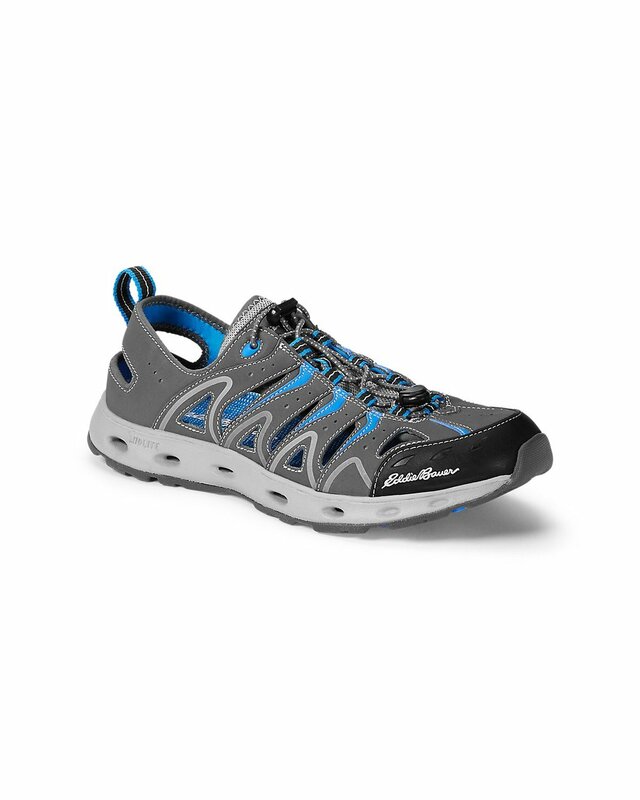 From our 2018 Canoeing Shoe Buyer's Guide, the Eddie Bauer Amphib shoe (available for Men and Women) is on sale this week for $98 (ordinarily $140). The shoe features lightweight EVA interior support, quick-lace fit adjustment, and a multi-terrain outsole to let you pull it on and go. CBC News Nova Scotia ran an article titled Why are more people staying at provincial parks? It's a matter of opinion which talks about how the number of camping reservations at Nova Scotia Provincial Parks has hit a four year record. Is it due to the provinces' $5 million investment, or because the National Parks are completely booked solid? This one was from a few weeks back, but camping reservations are up 14% vs. 2017 according to the Edmonton Star. MEC Paddlefest is coming to both Vancouver, B.C. and Barrie, Ontario next weekend. Be sure to follow Canoe for Change as they take an epic canoe trip across Canada to raise funds and awareness for Loving Spoonful in Kingston, Ontario. This awesome charity works to achieve healthy, sustainable, food-secure communities. Did you find a cool camping or canoeing article that we should share with readers? Let us know! Bannock Break: 3,000KM Canoe Trip, Reconciliation, and more!